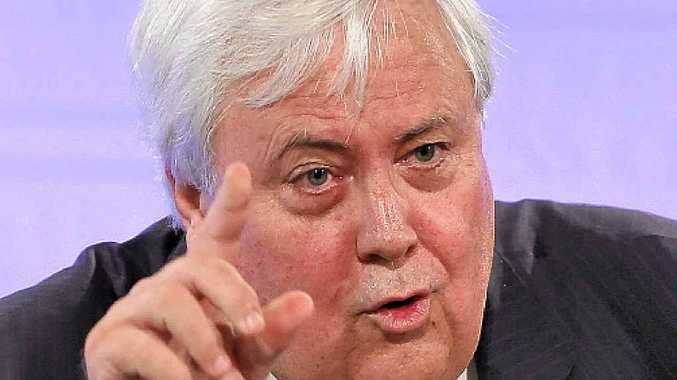 PALMER United Party head Clive Palmer is digging into his own pocket for a "parliamentary" office in Canberra after Prime Minister Tony Abbott's decision to deny him a party room in Parliament House. Mr Palmer has organised an office for PUP in the same complex that houses the National Press Club, less than 1km from Parliament House. "The PM didn't give them a party room so Clive said, 'I'll have my own party room'," a PUP spokesman said. Political parties need five elected members to qualify for a party room in Parliament House. PUP has only four members - Mr Palmer and three senators. Despite the one-member shortage, the PUP spokesman suggested Mr Abbott had the flexibility to still grant PUP a room. "It's the PM's choice. I would think with what he's got in front of him it's probably not a smart thing to do," he said. From July 1, the PUP senators take their place in the Upper House. They have formed a powerful and influential voting bloc with the sole senator from the Motoring Enthusiasts Party. It's expected that the bloc will play a key role in determining whether key pieces of legislation are passed by the Senate and become law. The PUP spokesman confirmed Mr Abbott had invited Mr Palmer to join him next Thursday, with budget legislation expected to be among topics discussed.